Mixed Media with many layers of acrylic washes, glazes, drips and pours, charcoal, oil pastels and other mark making materials. Finished with a gloss varnish for UV protection. 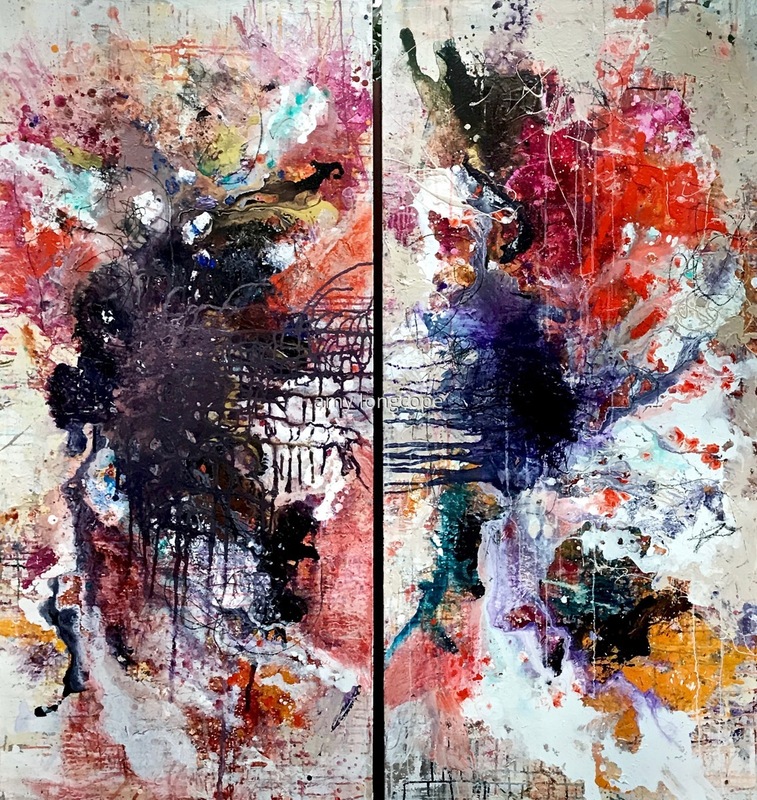 This piece can be sold as a diptych or as separate pieces. This piece includes custom white framing. see additional photos.